Dennis Mitzner lives in Tel Aviv where he does content strategy, writes about start-ups, technology trends and politics. You can find him on Twitter. The Israeli start-up scene is saturated with newcomers fighting for a spot in the limelight. The following 10 companies have passed some key hurdles and challenges that make them an interesting watch for investors and consumers around the world. The list comprises an eclectic list of start-ups that are either breaking into the mainstream in their respective industries, or are still at early stages, but look to make significant inroads in the next few months. SaferVPN, founded by Amit Bareket and Sagi Gidali, launched a VPN-based startup that provides secured re-routed Internet access throughout the world. The company’s software allows users to circumvent local restrictions and access websites, while simultaneously allowing users to keep their personal information safe and encrypted for anonymous browsing. “We’ve seen more and more online censorship in the past couple of years, with governments forcing severe restrictions on their citizens’ freedom. In the West we take it for granted that we can express ourselves on social media, publish videos on sites like YouTube, or write letters to newspaper editors for publication. That’s not really a choice if you’re living [under] some regimes,” said Gidali. Some months ago, the company partnered with Advancing Human Rights, a global non-profit to launch ‘Unblock The Web‘, a crowdfunding campaign to fight internet censorship and give dissidents anti-censorship tools. “It has become increasingly hard to stop the flow of information. People in the free world can play a key role in helping activists get information out to alert the world to their regime’s brutality,” said David Keyes, the Executive Director of Advancing Human Rights. Funding: In March 2015, Safer VPN received approximately $500k from private individuals. The company has been generating revenue from day one, with a steadily growing user base. “The money was raised a month ago and will be used to accelerate growth, user acquisition and unique projects that we plan,” said Sagi Giladi, CEO of the company. 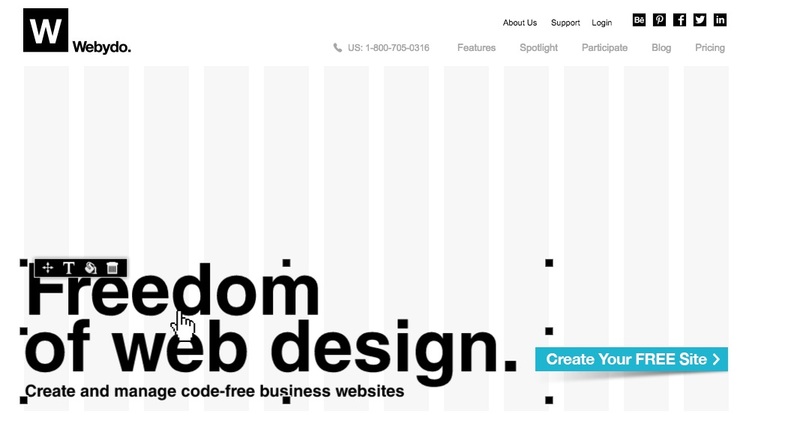 Founded in 2012, Tel Aviv based Webydo is a code-free web design platform for freelance web designers and agencies. The company was founded on the premise that the web is increasingly turning into a creative medium. Until now, developers have enjoyed centre-stage, and Webydo is looking to change the tide by empowering individual designers to take control over the full creative process. “Since the early days of web, it has all been about code creation. Our focus has been to develop a powerful code generator to help designers take control of the creative process,” said Shmulik Grizim, the CEO and co-founder of Webydo. In contrast to other major players in the code-free website marketplace – such as Wix -, that court the DIY market, Webydo’s approach is strictly B2B. Funding: In June 2014, Webydo closed a $7 million Series B funding round, bringing the total investment to $9.7 million. Now there are rumors circulating that suggest an additional investment is on its way from a high profile VC. Some call it SlideShare on steroids. Roojoom, based in Tel Aviv, is a content marketing intelligence platform that helps companies repurpose existing content to increase engagement and conversion. The company’s customizable cloud-based websites aim to help companies showcase their products and features effectively and in real-time. These websites can come in many forms, including as standard web pages, videos, images and PDFs. “Having worked with clients such as Microsoft and eToro in addition to various banks and large CPGs, we estimate to triple our client base by the end of the year,” said Yael Kochman, a marketing manager at Roojoom. Founded by twin brothers Tal and Nimrod Moran in 2011, Tomigo has developed a social recruiting platform that helps employers recruit effectively by harnessing the power of their existing employees social networks. The company’s solution uses a fusion of advanced technology and social media expertise for companies to leverage their employees’ wide base of connections and consequently, to easily approach and hire the talent they look for. Tomigo is a good fit for a broad range of companies and is dedicated to assisting clients in job recruitment and contributing to their ongoing success. Funding: Tel Aviv Angel Group is the sole investor, and although the exact amounts were not disclosed, the investment was less than $1m. Since the initial investment, the company has not raised additional funds and claims to be profitable. After recently closing a $15 million funding round, Tel Aviv based SimilarWeb’s traffic analytics tool is already a must-have among marketers and industry professionals around the world. With its unique algorithm, users are able to generate valuable data to better understand their respective industries and see how competitors fare based on metrics such as monthly traffic, geo-locations, demographics, related websites, outbound traffic etc. Simply put, SimilarWeb is Google Analytics without restrictions on access. It can be dismissed as another spy tool, but the product’s real value lies in its ability to introduce an element of transparency into online advertising because it helps publishers map out sites that are potential advertising partners. What might curb your enthusiasm is the price; from $199 (basic) to $799 (ultimate) per month. Funding: In November 2014, SimilarWeb raised $15 million in Series D funding from prior investors Naspers and angel investor Lord David Alliance. The company has raised a total of $40 million. 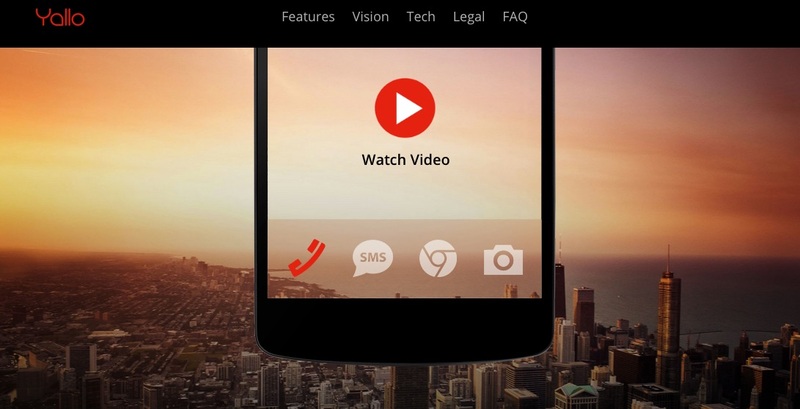 Tel Aviv based Yallo wants to reinvent the phone call. The company’s founding principle is based on the premise that much like Whatsapp and SnapChat change text messaging, the phone call hasn’t changed in decades. Yallo’s app automatically reconnects dropped calls, saves a call or shares it. Users can summon a group call with a single click or even interrupt a call when a priority caller needs you. For example, if your child is a priority caller, he or she will be able to interrupt your call. Whether this is a good thing, is up to the users themselves to decide. Funding: Yallo closed $4 million in Series A funding in March 2015 and the investment was led by Carmel Ventures, a member of the Viola Group. In the coming months, Yallo will boost its marketing efforts to fully launch the product. Founded by Ben Lang and his father Philippe, Mapme is a self-service platform for creating crowdsourced community maps. The platform allows anyone to create a global community map. Until now, users have created maps from real estate, tech and startups to 3D printing and brain-tech. The simplicity of the map is perhaps its strength. Instead of plowing through text-based indexes of directories, users interested in 3D printing or tech in a specific region can easily peruse the local markets by using the interactive map. “In 2015 we’ll be focusing on growing and diversifying the types of maps we have on our platform. We’ll be focusing much more on our mobile experience. Later in the year we’ll be working on connecting between maps on our platform, with related maps, suggested places and really leveraging the data to build better maps,” said Ben Lang. Funding: Till now, Mapme has been fully funded, but the company is talking with individual investors around the world. Based in Tel Aviv, SwarmBuild is a manufacturing marketplace that connects anyone with a design idea with the engineers and manufacturers they need to turn their ideas and designs into products. Essentially the company empowers engineers to sell their design ideas and turn the ideas into fruition by connecting the engineer with a relevant manufacturer. Currently, SwarmBuild’s network of partners in the US, Canada and Israel offers engineering and advanced manufacturing in a wide range of materials. The founder and CEO of SwarmBuild, Boris Kogan believes that his company distinguishes itself from competitors such as Shapeways and BriteHub by focusing on the relationship between design and production. “No competitor has developed all the tools needed to move from design to production. Our solution connects innovators with engineers and provides manufacturers with a proprietary easy to use pricing engine,” Kogan said. Funding: The company received an initial $20,000 from Iowa Startup Accelerator. Now, with a 15-month runway at $40,000 per month, Swarmbuild projects the cash needs to be roughly $600,000 plus a one time IP acquisition fee of $200K. Kogan is currently in talks with investors. Viggo is a slight anomaly on this list because it makes products for the physical world. The Herzliya based – with offices in Amsterdam – startup has developed a Smart TV solution for hotels that source the crowd for reliable real-time information about the local community to create a better experience for the busy business traveler. 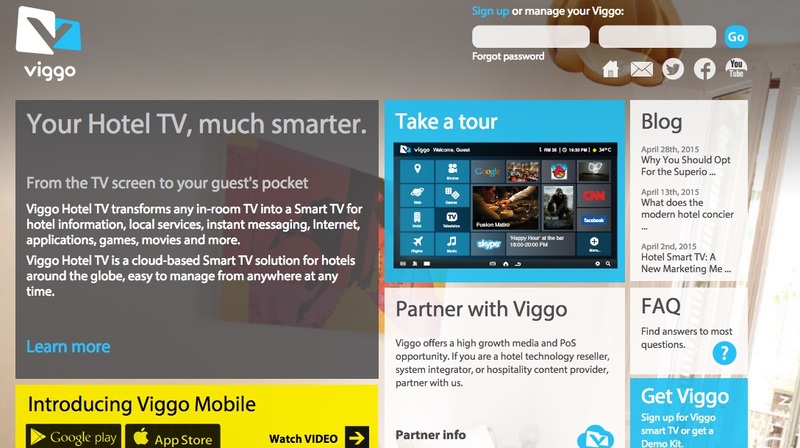 Viggo wants hotels to replace heavy TV hardware with a technology that is managed through a cloud-based CMS, giving hotels the ability to customize the TV based on guest preferences. “Hotels have long had a reputation of being adverse to change. We believe that hotels must emulate the habits of the guest and this means being able to adapt to new technologies. What’s more, by embracing disruptive technologies, hotels can find new revenue streams,” said Shiri Sivan, Viggo’s VP Marketing. Funding: Viggo is privately funded, but Sivan suggests that expanded operations might require the company to seek external investment during 2015. Based in northern Israel, Voxdox is a text-to-speech app developed to help students with dyslexia, alexia or other learning disabilities. Released in March 2013, Voxdox already boasts 200,000 downloads, with most of its users based in the US, Germany, and Brazil. 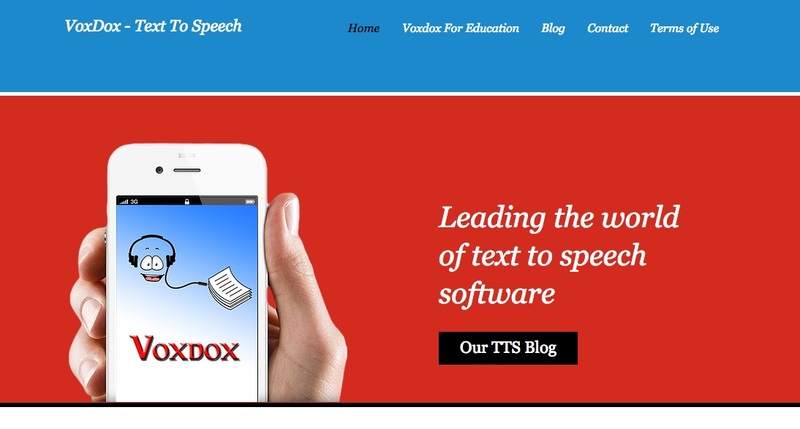 “Compared to other similar apps in the market, Voxdox is equipped with a text-to-speech app and an electronic reader. This means that the user does not have to use two apps simultaneously — one for speech and one for reading,” Ben Baror, the CEO of Root Applications, the startup behind Voxdox. In addition to running pilot programs with a number of educational institutions around the world, Voxdox is working to build a vast online library. Funding: Voxdox is privately funded, but the company is in talks with investors in Tel Aviv for additional funds to finance and launch the online library during 2015. At the recent TNW conference, CES founder Gary Shapiro stated that outside the US, the Israeli startup ecosystem was the most vibrant. After reading this list, do you agree? What other startup communities would you like us to focus on? Read Next: Lithuania: Europe’s secret tech powerhouse?